Situated between the southern foothills of the Colli Albani and Agro Latium, near Rome, Velletri was an ancient city of Volsci, already influential at the time of Anco Marzio. The city's name has certain Latin roots "Velia" (swamp). The discovery of prehistoric tombs (like the tomb of tholos, found in the district of the Vigna d'Andrea) confirms that the area was inhabited since ancient times. The first permanent settlements date back to Etruscan times; stronghold of the Volsci (an ancient Italic population, that lived in the area south of Rome), was only conquered by the Romans in 338 B.C., who over the following years had to repeatedly stop and punish rebellions caused by the inhabitants of Velletri . During the X century, It became a possession of the Counts of Tusculum, until it was assigned to the Papal States and enjoyed a certain autonomy until 1559, when the Pope changed the law of the unification of the civil government to a temporary one. In 1744, Velletri was scenario of the battle of the War of the Austrian Succession between the troops of King Charles of Bourbon and those of Cristiano of Lobkowitz. In 1848 Giuseppe Garibaldi won, here, an important victory over the troops of Ferdinand II of Bourbon. During the Second World War the area was at the center of the clashes between the allied troops, that landed at Anzio, and the German ones lined up along the "Caesar line", suffering heavy losses. 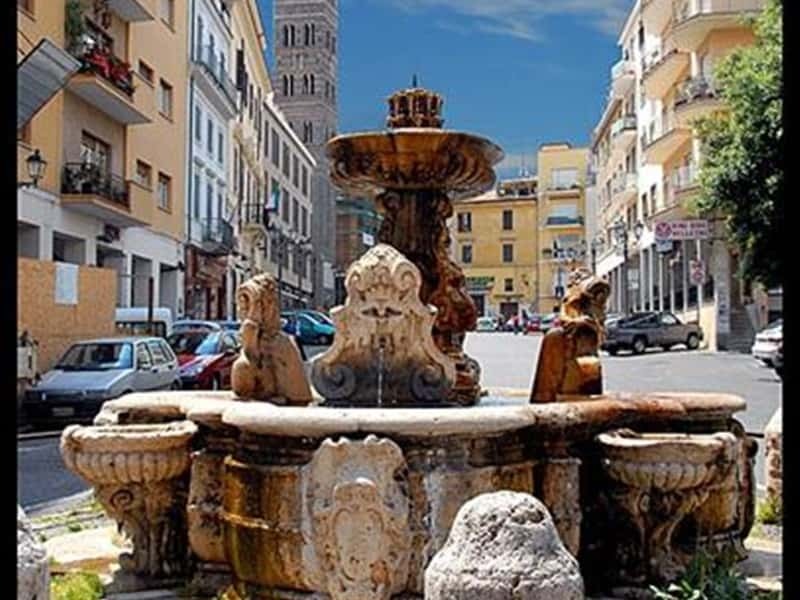 - Porta Napoletana, built in 1511, consists of a main building and two side towers; it is the only remaining Renaissance gate entrance between the fortified city walls, which allowed access to the city. This town web page has been visited 26,578 times.